A cocktail that tastes just like a Pineapple Upside Down Cake will sweeten up your weekend. It’s such a girly drink- insanely sweet and gorgeous in color. Pineapple Upside Down Cocktail is dessert in a glass, so make sure you skip dessert or I can’t be responsible for your sugar overload. It’s a simple and easy mixture of pineapple juice, cake-flavored vodka (one of the best tasting things ever), amaretto (another one of the best tasting things ever), a little lime juice, and grenadine. Vanilla-flavored vodka can be used in place of the cake-flavored vodka and you could try some coconut-flavored rum in place of the amaretto. 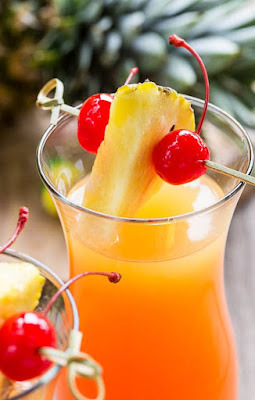 A fantastically sweet and delicious cocktail that tastes just like Pineapple Upside Down Cake. It's dessert in a glass! 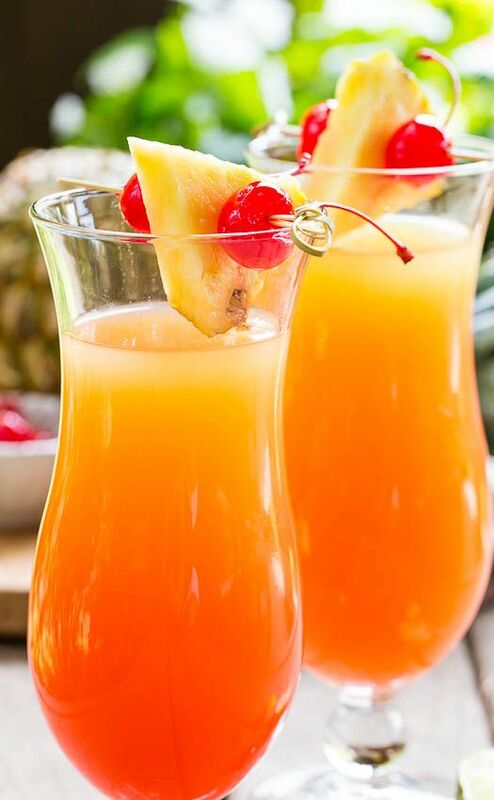 In a small pitcher, combine pineapple juice, vodka, amaretto, and lime juice. Divide mixture between 2 glasses. I like to use Hurricane glasses. Slowly pour 1/2 ounce of grenadine into each glass. Garnish with cherries and pineapple slices. 0 Response to "Pineapple Upside Down Cocktail"